The ER-180UL electronic cash register with its sleek design finished in black will look good in any hospitality or retail environment. 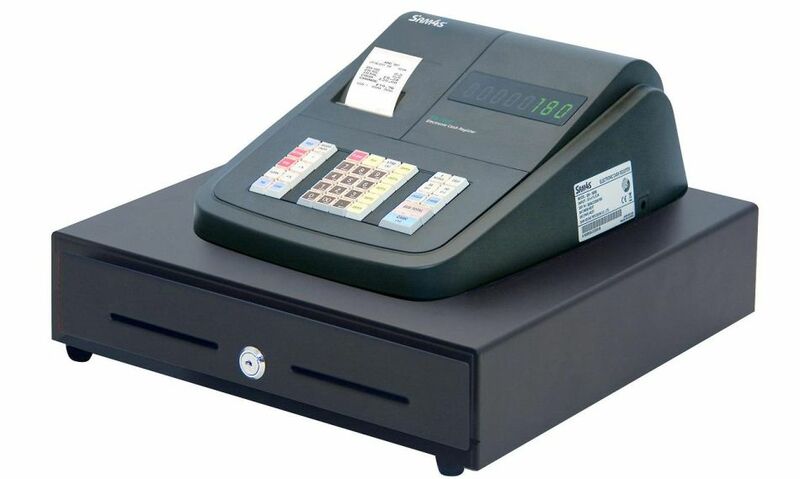 The Sam4s ER-180UL comes with a thermal printer and large cash drawer. £10 Program/Set-Up + £10.00 ? 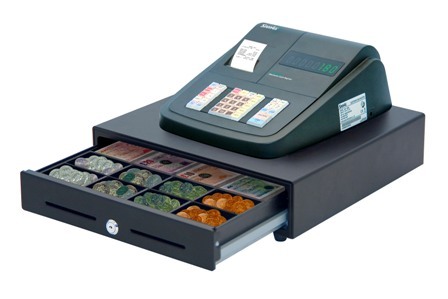 Simple and Compact Design the ER-180UL Cash register will cope with the tasks normally associated with more expensive cash registers, Logo and message printing receipts, 10 clerks and 5000 PLU's. Large lockable cash drawer with 8 coin and 4 note compartments. This operator-friendly model provides a complete analysis of department sales, function total and actual drawer totals. The cashier has the option of supplying a printed customer receipt or a journal tape. Five Department The SAM4S ER-180U features 5 departments and is designed for ease of operation and point of purchase control in retail applications Departments may be programmed 'Single Item' department for fast registration of single item sales. The SAM4S ER180U cash register is the only cash register in this price bracket that monitors sales of up to 10 operators. The SAM4S ER-180U gives you a thorough review of your business with a complete analysis of your department sales, function totals and actual drawer totals to help you protect your valuable profits. Operator choose either to have a printed custom receipt or a journal tape. Single Station Printer can be programmed for either customer receipt or retain transaction record on audit roll. The "Receipt On Demand" feature allows the operator to turn the receipt printer off, but issue a receipt as requested. This feature is designed to save paper and to reduce litter in your store.